If your loved one has been killed through the actions or negligence of someone else, Capron & Avgerinos can help you. Wrongful death refers to a lawsuit filed when the actions or negligence of a person, company, or entity cause the death of another. Fatalities from car accidents, medical misdiagnoses, construction accidents, and nursing home neglect are all examples of cases that may be considered wrongful deaths under the law. If a loved one has died because of another party’s actions, your family is naturally filled with grief. Yet, when you are grieving, you and your family should not make any crucial decisions without consulting an attorney. You must understand your legal rights. At Capron & Avgerinos, our compassionate attorneys will provide personal legal counsel and secure your right to just compensation in Illinois and Iowa. Laws governing wrongful death lawsuits are complex, technical, and administered on a state-by-state basis – which is why our expertise in Illinois and Iowa is crucial. According to Illinois and Iowa law, you must be able to prove that the responsible party caused the death, and that if the victim had survived, he or she would be able to file a personal injury claim. Wrongful death actions are brought about by the deceased person’s representative: an executor if there is a will, and an administrator, if there is not. Any recovery made is for the deceased’s spouse and next of kin. Damages may be recovered for grief, sorrow, and mental suffering. In addition, a survival action can be brought to recover damages sustained by the deceased from the time of injury up until the date of death. These damages can include pain, suffering, and loss of enjoyment of life. While no complex calculations can ever compensate you for the loss of a loved one, the court will consider several factors to determine damages for a wrongful death, including the life expectancy and wages of the deceased, how much you have suffered emotionally from the loss of companionship, and your relationship to the deceased. Time limits apply to wrongful death suits — so it is imperative that families act quickly to protect their rights. In Illinois and Iowa, the statute of limitations for wrongful death suits can vary, depending upon who is the responsible party and the circumstances of the death. As a general rule, you should not sign any documents releasing an individual, corporation, or insurance company from liability for the death, until you speak with an attorney.  The attorneys at Capron & Avgerinos will work with you personally to plan a course of action, so that your family receives just compensation for your loss. Call Capron & Avgerinos now at (800) 535-4542 if you believe that a loved one has been a victim of a wrongful death in Illinois or Iowa. We are ready to assist you over the phone or in person. We perform our cases on a contingent fee basis, which means we are not paid unless you recover compensation for your claim. Call Capron & Avgerinos at (800) 535-4542 – let us show how we can deliver results for you.